It’s very hard to resist all the delicious delicacies available at our loved ones’ festivities. The foods we crave are associated with our emotions. When we are sad, missing a loved one …. we attack the first piece of chocolate around. In times of anxiety we binge as if food could offset our anxiety and resolve our issues. At holiday parties, when celebrated with our family, it’s hard to resist the tidbits that remind us of our childhood and therefore make us feel loved, cared, cherished and protected. So why not enjoy the affection that our family has to give, without losing your mind and gaining lots of weight? What really makes you gain weight is not what you eat between Christmas and the New Year, but rather what you eat between the New Year and Christmas. But to avoid the extra pounds and still feel emotionally fueled during the holidays, use your common sense and try to redirect the natural tendencies of your sign, because after the New Year comes resort season and you’ll want to be in shape to enjoy it with a fit body. Shall we improve the way we deal with food? Based on your sign you can have the knowledge of your weak spots and what dish you can bring to the party to help curb your hunger, binge less, while also allowing you to just nibble some of the unhealthy goodies on the table. Take a dish that represents your personality to the party! Aries, you are moved by impulse, you’re the kind that eats ‘raw’ because you don’t have the patience to wait for the dish to be ready. You are a fire sign, and thus, to satisfy your emotional needs, you need spicy foods, with quick digestion. The best solution is to bring a dish made by you to the party. Make a dish based on Indian cuisine, with peppers and all those delicious, flavored spices. Start with this dish and then eat other delicacies, you will see how you will eat less and still enjoy the flavor of Grandma’s and Mom’s traditional foods. In a bowl, add the meat and yogurt, mix well and let sit for 1/2 an hour. Melt the coconut oil in a pan and brown the onions. Add the meat with yogurt, spices, garlic and chili pepper (without the seeds), chopped and fry until the meat is brown. Add the rice in the meat pan and let it cook for a few minutes. Add 4 cups of water and mix. Add the raisins and almonds, cover the pan and cook over low heat until the rice and meat are tender. Taurus likes gourmet food. As an earth sign, you need to feel comfortable and safe. Your 5 senses are more accentuated than any other sign’s. You can put on up to 5 pounds easily during the holiday season, because you can’t resist the yummy foods. 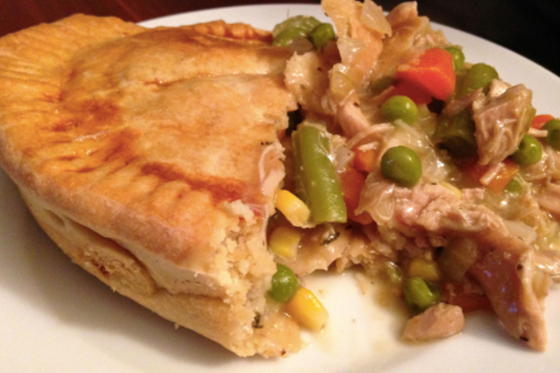 Make a delicious and healthy chicken pie for the party, and replace the wheat flour with quinoa flour, cow milk for almond milk or hemp milk, and the pie will still be tasty and healthy! Place all ingredients in a blender and blend until the mixture is consistent. Set aside. In a bowl, place all the filling ingredients, mix everything and set aside. In a greased baking pan, pour half of the dough, bake in a preheated oven to 305º and allow 5-10 minutes until the dough gains consistency. Remove from oven, pour in the filling, and on top of that, place the remaining dough and bake again. Allow to bake for 30-40 minutes in oven, in medium heat. Gemini likes variety. As an air sign, you always have a busy mind. You don’t have time to sit at the table and eat, you’d rather pick a fruit or sandwich and eat on the go. When you are under stress you just grab the nearest sweet you can find in order to attain emotional relaxation. Take a vegetable plate to the party, well seasoned with a delicious sauce. 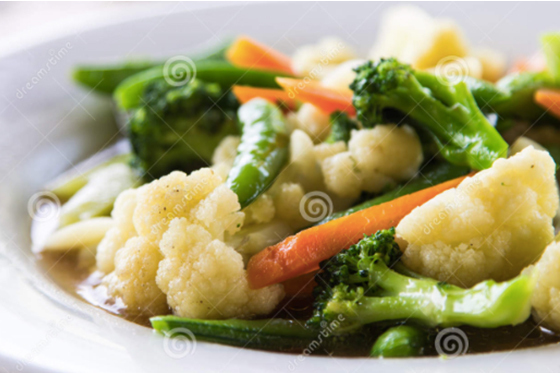 Arrange all the vegetables on a large plate and pour the sauce evenly on top of the vegetables. Sprinkle almond flakes over the vegetables. Cancer like the foods that mother used to cook for you in childhood. More than any other sign you need to feel nurtured in every way. 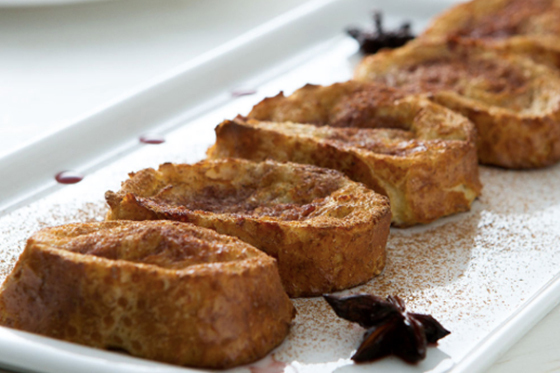 Take gluten free French Toast to the party, so delicious your mother will ask for the recipe. Heat the water and set to the side. Mix in a bow and blend all dry ingredients. In a smaller bow lightly beat the eggs, coconut oil and vinegar. Bring this mixture to the dry mixture and beat adding water gradually. Beat for 1 minute at high speed. The dough should be very sticky. Grease the baking pan and pour the mixture. Shake the pan in order to have the dough even. Cover and let it rest for one hour until doubled the volume. Preheat oven to 205 degrees. Let it bake for 40 minutes or so. Slice the bread. Make a mixture of 1 cup almond milk or hemp milk, with 1 egg and 2 tablespoons of coconut sugar or Stevia. In another pan place the slices in this mixture: coconut sugar or Stevia, cinnamon to taste and chia seeds. Bake it on high heat until golden brown. Leos likes to eat expensive and sophisticated dishes, because it makes you feel like royalty. You should take the most luxuriant dish to the party. You love to show off so why not to make an appetizer that is healthy and looks stunning just like your outfit? If there’s a contest of the most beautiful presentation of a dish, you could probably win, my lovely Leo. 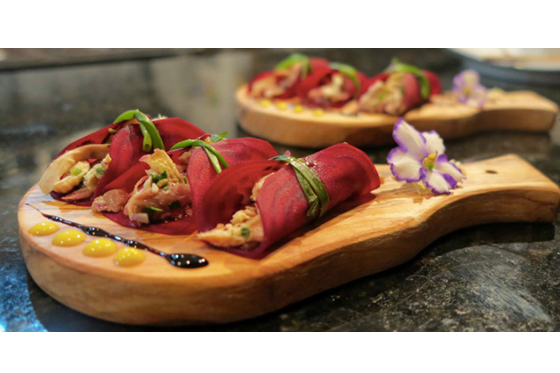 Take a beet tacos dish, filled with lobster salad. Broil the lobsters for 10 minutes and remove the meat and shred it. In a blender put the two boiled yokes, olive oil, juice of one lemon, salt and pepper. Add this mixture (mayonnaise made from scratch) to the lobster add the scallion thin sliced, and the celery sliced into thin pieces as well. Virgo likes the healthy and organic dishes. You don’t mind having to spend hours in the kitchen since the dish is healthy and has all the necessary ingredients for a healthy digestion. The ham is a natural source of protein in addition to the dish being rich in fiber, due to the plums. Ham is a very traditional dish at holidays parties, but it could be a very rich dish, not to mention the hormones, etc. So there’s nobody better than you to transform this dish in to a healthy version. Instead of buying an industrialized piece of meat that comes pre-seasoned, purchase your ham at a butcher shop to ensure that it is not chemically preserved. 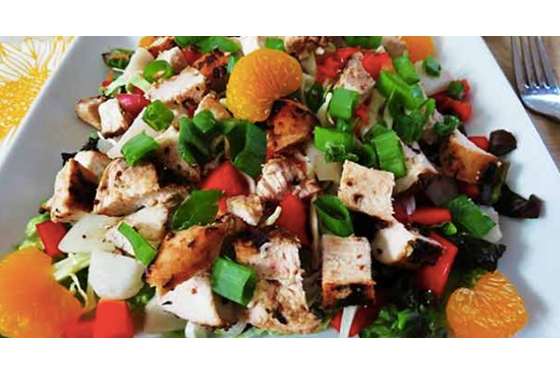 This is already synonymous of more flavor and a healthier option, both important requirements for you. This is an elaborate recipe, but you love to do everything well and to perfection. Make the marinade: chop the onions into large cubes, peel and chop the garlic cloves into 4 pieces, add all the fresh herbs with the wine. Place the pepper, coriander seeds and mustard in a mortar and grind a little. Season the ham with salt and the crushed seeds, rubbing and massaging the meat. Place the ham in a large plastic bag, pour the marinade inside and close it, pressing well. Place the bag with the ham in a roasting pan and bring to the refrigerator for at least 24 hours, turning it every 6 hours. The ham may be marinated for up to 3 days. The taste will be amazing! A ham this size will take about 5 hours to bake. Generally, I spend one hour per pound of meat. Preheat oven to 280º. Remove the ham from the refrigerator and I let it rest for 30 minutes before baking. Take the ham from the baking sheet and pour the marinade over it. Place the plums around the ham and cover the dish with foil with the matte part out. After two hours, remove the foil, plums and some of the liquid from the marinade, set them to the side. Let the ham baking for another two hours, turning once to brown it in full. 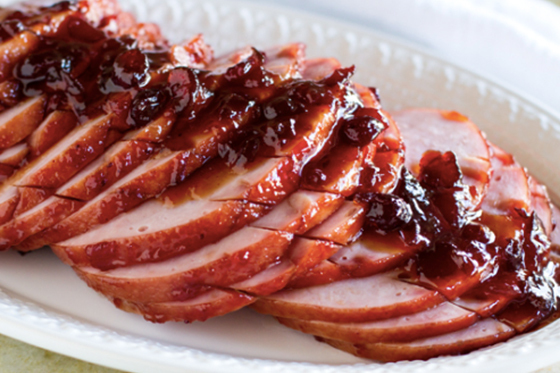 Drizzle ham with the marinade in the pan whenever you can. After 4 hours, make sure the leg is well roasted, sticking with a knife up to its center, as close to the bone as you can get. If you do not see blood, it should be ready. Remove the ham from the oven, place on a cutting board or platter and top with 3 layers of foil to keep the temperature. Take the rest of the liquid remaining in the pan (if dry, pour a little water and scrape the siding of the pan), along with the marinade you’d set aside earlier. 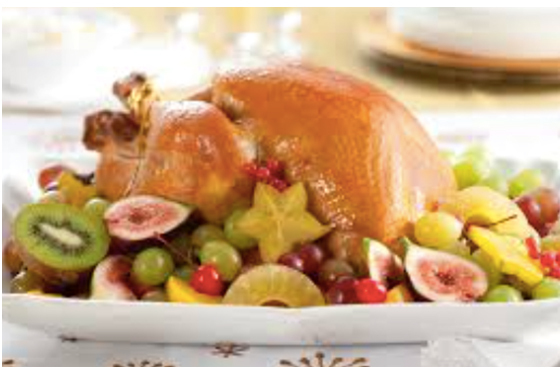 At the party, put ham on a serving dish and garnish with dried fruit, fresh cherry, nuts and fresh herbs (fresh thyme). Serve with the sauce on the side. Libra likes dishes that are also a beautiful presentation. You more than anyone, like to always be in shape, and prefer the beautiful dishes, color and balance without adding extra pounds to your beautiful shape. So why not a plate of fruit for the dessert? Strawberries, black and green grapes, Kiwi, cantaloupe and other seasonal fruits you choose. 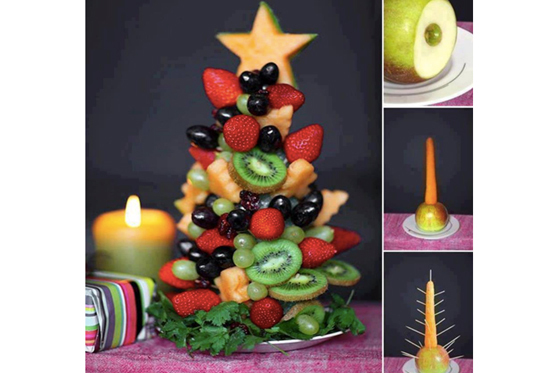 Prick the fruit on a stick and build a healthy, colorful Christmas tree. It’s easy to make and it will be the most beautiful ornamental dish of the party. Scorpio, you tell everybody you eat healthy and are on a diet, but you snack in the kitchen when nobody is watching and eat all the forbidden foods you can grab. It’s fun for you, it’s part of your personality, right? Since you have an enhanced and intense taste, take a dish like prawns and guacamole to the party. Despite the prawns having a little more calories, guacamole is a healthy dish and an excellent choice for those who do not eat animal meat, and the pescetarians. 3 garlic cloves, crushed for guacamole and 3 cloves cut into pieces for the prawns. Rinse the shrimp and let them soak in lemon and salt for 15 minutes. On a skillet, place one tablespoon of coconut oil, when hot, add the chopped garlic, letting garlic get golden then place the prawns on the pan. When they start getting pink, flip them on the other side. Cook for about 3-4 minutes maximum and set aside. Mix all ingredients (minus the shrimp) in the a bow, add the tomatoes last. 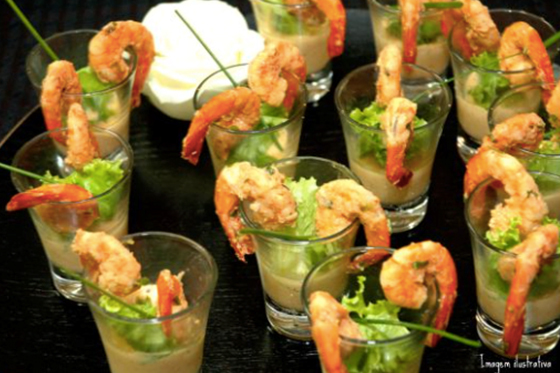 Place individual portions in cups, add a small lettuce leaf for garnish and insert a prawn, decoratively, on each cup. Sagittarius you like to eat anything and everything all the time. Life is all about fun, eating tasty foods and enjoying the outside life. Flavor and quantity are your qualities. Choose a healthy and quick dish to make, because you don’t have the patience to spend hours in the kitchen. Arrange the lettuce or arugula dish and set to the side. In a bowl add the turkey cubes, the tangerine buds, chives and chili. Drizzle with the sauce and mix well. Place on top of lettuce on platter. Capricorn likes the traditional Christmas dishes the way grandmother has been serving for the past 60 years. You dear Capricorn will have to stay with the traditional Christmas turkey but in order to make a healthy dish, skip the stuffing, so you don’t have to gain extra pounds but still eat your grandma’s traditional dish. Prepare the turkey in advance, or better, I’m sure you can afford a ‘chef’ to prepare the turkey for you, then you don’t have to spend any time in the kitchen, after all you are a Capricorn, and your work comes first. Heat the coconut oil in a small saucepan. Add the zest and juice of the lemon and 1 teaspoon of thyme leaves to the coconut oil. Set aside. Aquarius likes dishes that no one has ever heard about before, and in 2 years will turn the fashion plate. You like to be in shape and you like different kind of foods, but depending on your mood, you could eat nothing one day e over eat the next. You might go from being raw food eater to let’s eat everything. 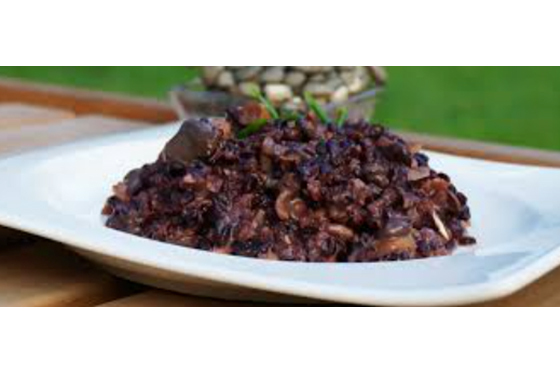 How about taking a quinoa risotto with black rice and assorted mushrooms? 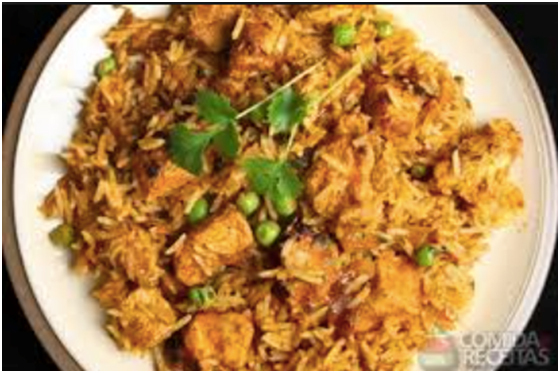 It is a dish gluten free and will make the greatest success at the party, replacing the white rice that has no nutritional value and fattening. You will need large pot and deep. First cook the black rice for 20 minutes. In another pan, put the oil to heat up and play the sliced ​​mushrooms and skinny, when the water down play the white wine and simmer for 10minutes. Add the pre-cooked black rice with mushroom add a little water and place the quinoa and cook for 15 minutes ONLY let the pot without a lid for the water to evaporate, but at the same time have to get wet not too dry. Sprinkle green onions cut into small pieces on top. Pisces, you actually feed yourself with love and meditation. But you like tasty foods that transport you to another dimension. 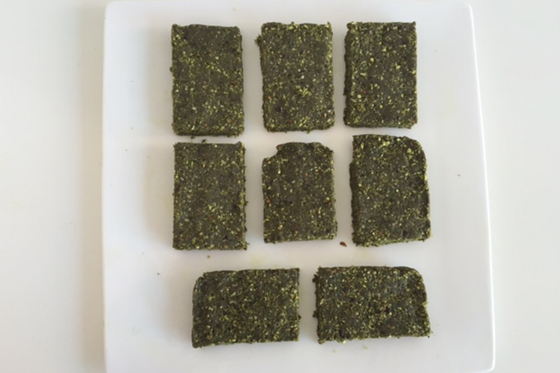 Bring a dessert made out of ‘super foods.’ It’s not only healthy, some super foods have healing properties which match your tendency to be tapped into a spiritual world. Hit a powerful blender, first the whole nuts, gradually add the other ingredients. If it gets too dry add another tablespoon of coconut oil soup. Make the squares, the size you want or balls like a (Brazilian) brigadiero. Dear reader, have an amazing holidays! Be healthy and beleive 2016 will be the best year of your life!